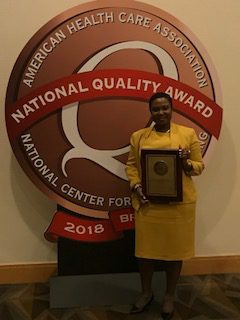 (Maitland, FL) – Consulate Health Care was the recipient of several distinguished awards during the American Health Care Association and National Center for Assisted Living (AHCA/NCAL) Association’s 69th Annual Convention and Expo in San Diego, California. 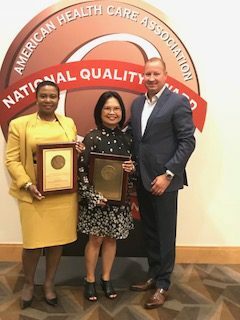 These awards were bestowed for Consulate’s commitment to continually improving the quality of care to its patients. 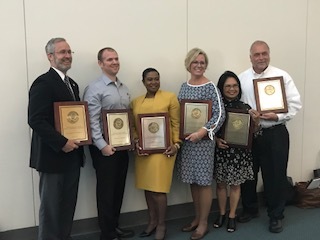 The ACHA/NCAL meeting was held Monday, October 8 through Wednesday, October 10, 2018. 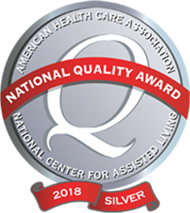 On Tuesday, October 9th, AHCA/NCAL honored long-term and post-acute care providers who have been changing lives and making a difference in the profession through the National Quality Award Program. 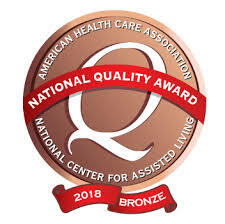 This year, more than 700 member centers and communities were recognized with a Quality Award, including 531 Bronze, 170 Silver and an elite group of four at the Gold level, including the first two assisted living communities. 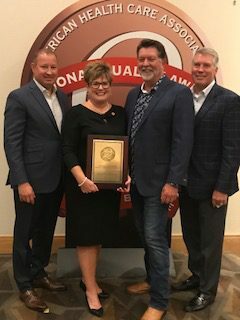 House Democratic Leader Nancy Pelosi (D-CA) spoke to Quality Award recipients as part of the ceremony. 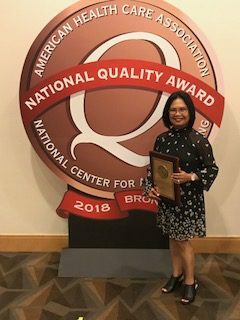 Seven Consulate Health Care centers proudly accepted the 2018 Bronze National Quality Awards, and one center received the Silver National Quality Award. Representatives from the winning care centers attended the meeting to accept their awards. 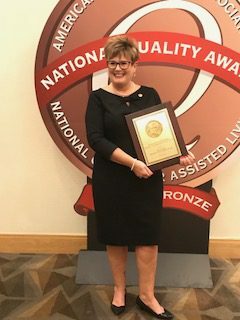 Maria Seger, who is Consulate’s regional vice president for operations, accepted the Bronze award on behalf of Seaview Nursing and Rehabilitation Center, due to the recent sudden passing of Seaview’s executive director, Frank Phillips. Frank was a long time passionate leader, and will be remembered fondly by all who had the pleasure to know him over the years.